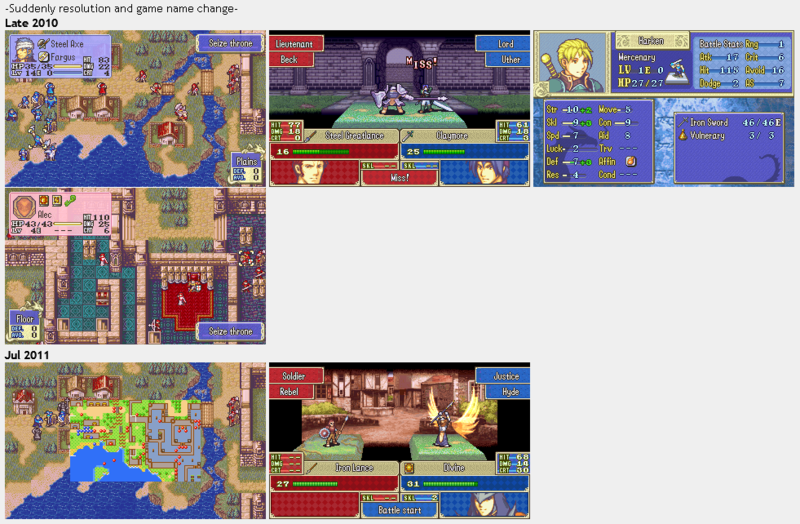 While making a sort of comparison image type thing for my game, I thought it would be cool to see other peoples' progress from the time they started working on their game(s), up until now. Wow, I remember that December 2010 screenshot - you have progressed quite far. I can certainly see the progress you've made looking at it from the aspects here. Thanks! I've been working on it constantly as of early this month. I've taken a few monthly breaks before, one in February, one in May/June, and then one last month. 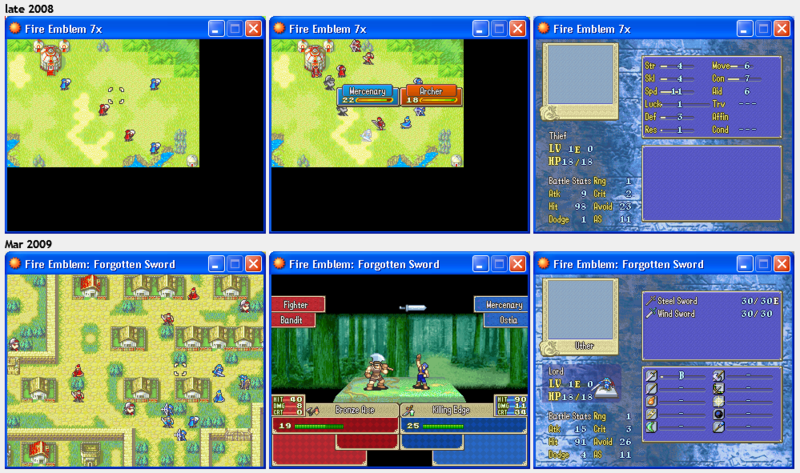 But now, I'm trying to get the demo perfect for NCFC. So far, there are no bugs AFAIK, and all I have left to do is polish up some of the items, and add the remaining two. Granted, even though it's from 2011, it's still a bit out of date. Wow, that looks awesome! Can't wait to try it. After bringing it down to a single person, it was much easier to clean up the style to what it is now. Considering that I'm the other half of the team making this game, I shouldn't be surprised, but I am. I'd be glad to help out with the programming as well as the art, if you wouldn't mind. (10-22-2011 07:20 PM)associateSum9 Wrote: I'd be glad to help out with the programming as well as the art, if you wouldn't mind. Unfortunately (or fortunately?) we're making good progress and aren't hiring at the moment. However if you are interested in helping out in any way the best idea is to catch me or Chaoxys on an instant messenger. In this case I believe it would be fortunately. : ) And all right, by the way, I'm kremling from MFGG so I could just send you a PM later. oh you're kremling. I didn't recognize you with that name. (10-23-2011 12:45 AM)Guinea Wrote: Unfortunately (or fortunately?) we're making good progress and aren't hiring at the moment. However if you are interested in helping out in any way the best idea is to catch me or Chaoxys on an instant messenger. No, that wasn't sarcasm. I really didn't know it was you.